Achieving the goal of preventing 1 million heart attacks and strokes by 2022 will take a village. According to the Centers for Disease Control and Prevention’s just-released Vital Signs report, there is still a lot of work to be done. Nearly 1 in 3 American adults have high blood pressure, a leading cause of heart disease and strokes, and 40 million adults with high blood pressure are not yet under safe control. Even more alarming is the fact that 1 in 3 heart attacks, strokes, and related heart-threatening events happened in adults 35- to 64-year-olds in 2016. That’s why Community Health Centers are working with CDC and the Centers for Medicare and Medicaid Services on the national Million Hearts® initiative. Health centers are making a big difference by using prevention strategies that best meet the cardiovascular health needs of their community. The strategy involves the whole community – health care providers, community and public health organizations, payers and patients – who are each making small changes to hopefully have big results. Health center efforts are working. Over 200 Federally Qualified Health Centers achieved more than 70% performance of the ABCS (aspirin use when appropriate, blood pressure control, cholesterol management, and smoking cessation) in 2016 and earned a Million Hearts® badge. NACHC is also working with the Million Hearts® initiative to help optimize care so that those with and at risk for cardiovascular disease receive the services and acquire the skills needed to reduce the likelihood of having a heart attack or stroke. Health centers are helping patients make changes that, over time, can help prevent cardiovascular disease. One focus is on self-measured blood pressure monitoring (SMBP), a proven method for cardiovascular disease prevention in conjunction with clinical support. NACHC recently created a Health Care Delivery SMBP Implementation Guide to help health care delivery organizations implement SMBP into practice or optimize existing SMBP processes. NACHC is also part of the national team developing a national strategy to address barriers to SMBP implementation. Additionally, NACHC’s recent CDC-funded project with the Association of State and Territorial Health Officials and the YMCA of the USA is aimed at improving and sustaining uptake of SMBP with clinical support. The results are impressive. CDC funded nine health centers in Kentucky, Missouri, and New York to support the collaborative use of SMBP models. 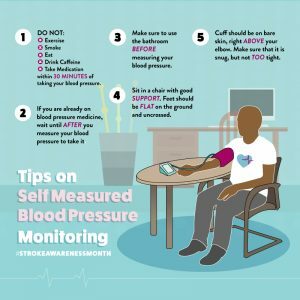 Within 10 months of embedding SMBP into their workflows, 1,420 patients with hypertension received recommendations for SMBP; of those, 794 successfully used their home blood pressure monitors to take and report their blood pressure measurements to their health centers; often keeping their monitors for an average of 18 days. In addition, 302 patients were referred to their local Y’s Blood Pressure Self-Monitoring (BPSM) program for additional SMBP support and healthy lifestyle education. These patient videos showcase the work done. Many of the health centers saw an improvement in their blood pressure control measure as a result of implementing SMBP. White House Clinics in Kentucky, for example, saw a 5% increase in their blood pressure control rate within only 6 months. A survey of patients at the participating health centers showed the use of SMBP was often “easy”, and many believed (n=305) that SMBP made a difference in controlling their blood pressure. Health centers recognize that SMBP is a powerful tool for patient engagement, beyond hypertension control, and that patients were motivated for and capable of doing SMBP. There is more work to be done but health centers, through technology, customization, and staffing, are helping the village.